Focused on technological up-gradation, dynamism and innovation, we are moving ahead by maintaining timeliness in delivering a wide gamut of Zin-P Ayurvedic Lotion. The offered lotion is applied on scalp for treating psoriasis, dandruff & fungal infections. Focused on technological up-gradation, dynamism and innovation, we are moving ahead by maintaining timeliness in delivering a wide gamut of Zin-P Ayurvedic Lotion. The offered lotion is applied on scalp for treating psoriasis, dandruff & fungal infections. 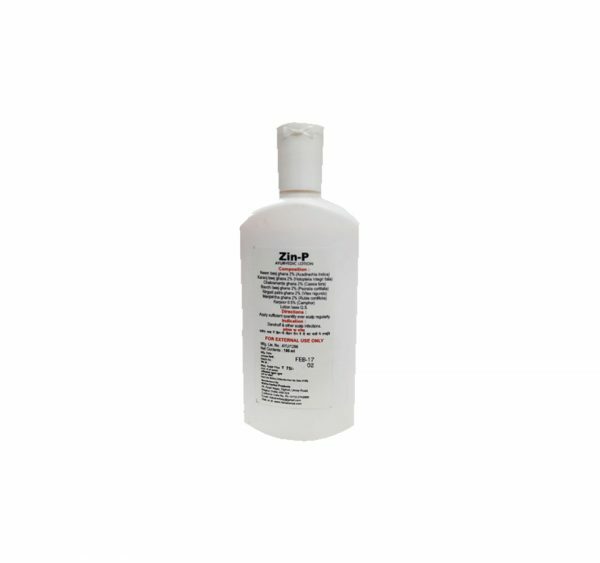 Our offered lotion is processed with the mixture of supreme quality herbal ingredients and advanced processing techniques in compliance with set medical industry standards. Neem beej ghana 2%, Karanj beej ghana 2%, Bavchi beej ghana 2%, Nirgudu patra ghana 2%, Manjishtha ghana 2%, Karpoor 0.5%, Lotion base Q.S. Cutazin Syrup for Pimples & Dandruff Purification from within. Apply sufficient quantity over scalp regularly. Dandruff and other scalp infections.